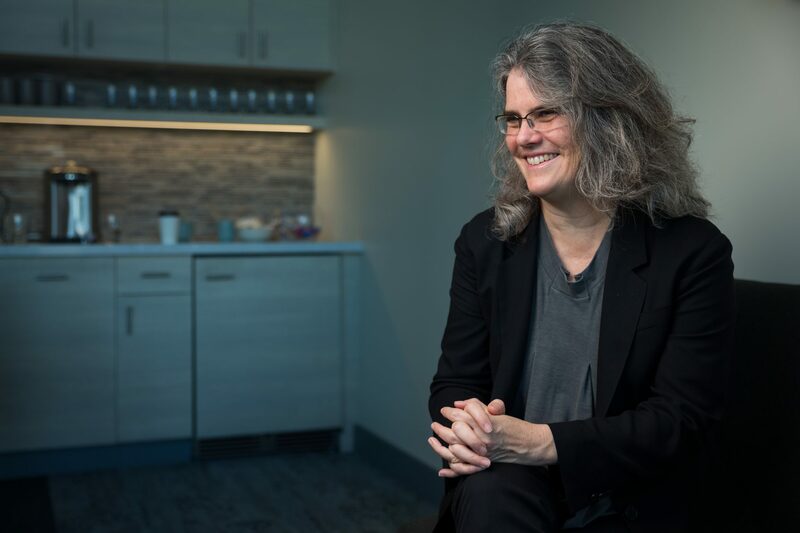 The goal of the Foundation’s women in physics and astronomy grantmaking is to increase the number of women in these fields, both in colleges and in academic and research careers in the United States. 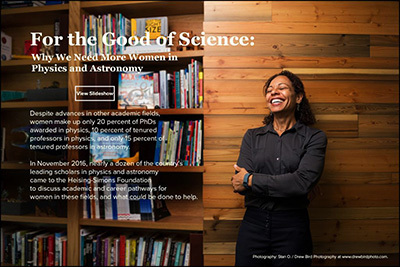 Although women make up almost 50 percent of physics students in high school, they comprise only 10 percent of full professors in the United States. In astronomy, the numbers aren’t much better, with women making up only 15 percent of full professors. Gender inequities exist at many points along the career paths in these two fields, from undergraduate and graduate programs to assistant faculty and associate faculty positions. And the gender imbalance is significantly worse than in many other science, technology, engineering, and math disciplines. Central to our commitment to increase the number of women in physics and astronomy in the US academy is our Physics and Astronomy Leadership Council. and what could be done to help.